2016 marks the 16th Anniversary of Wacoal’s Fit for the Cure® program benefiting Susan G. Komen! For every woman who gets a professional bra fitting at an event, Wacoal will donate $2 to Komen (no purchase is necessary). Wacoal will also donate $2 to Komen for every Wacoal bra, shapewear item or b.tempt’d bra purchased at these events. Wacoal has guaranteed an aggregate minimum donation of $250,000 this year. More information can be found at www.FitfortheCure.com. 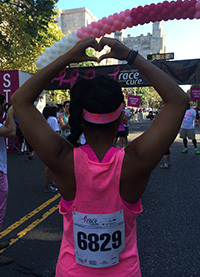 If you are interested in volunteering at a local event, please emailspecialevents1@komennyc.org to sign up.